This means that, if a file's file type is set to 'Documents', I can choose a document type from a list. 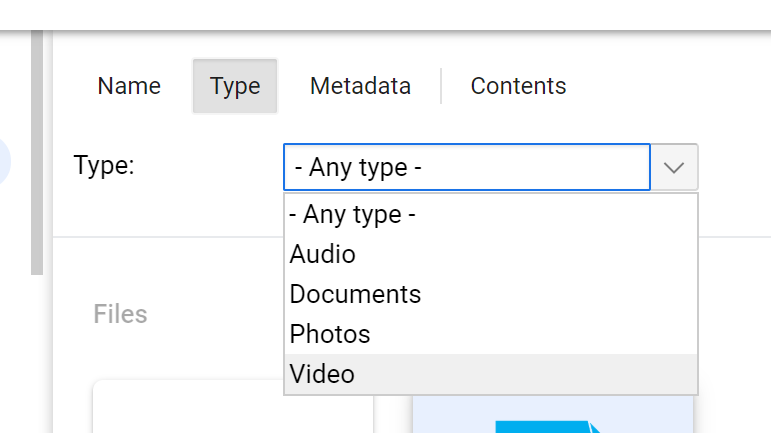 I think it would make lots of sense to have the same dropdown selection in the meta search. Otherwise, our users would need to know the options by heart. Makes absolute sense, thank you for the clear description. It's on the todo list now, so probably with the next update. The list will be displayed to the user with the next update. allow you to add fields that make sense only under the particular type of document that was selected. bonus: get you a nice file count by document type in FileRun's control panel.